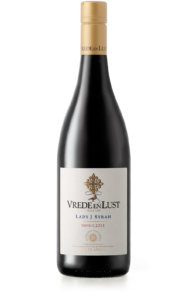 Artisan RangeThe Vrede en Lust Artisan Range is an exclusive range of carefully handcrafted wines, made in very small quantities exclusively for our Wine Club Members. For this range the winemakers are encouraged to experiment with different styles and winemaking techniques using small batches of site specific grapes. The labels are reproduced from our winemaker’s own handwritten versions of the labels. 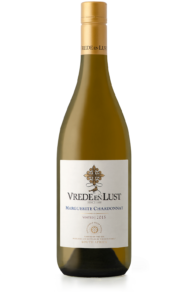 One of Vrede en Lust’s most recognizable and award-winning wines, this Chardonnay is named of the eldest daughter of the farm’s first owner, Jacques de Savoye. She was a flamboyant woman who defied conventions. Made from a prime block in front of the manor house, only limited quantities of this special wine is made. It is full-bodied with citrus, toasted nuts and butterscotch aromas followed by a creamy, well-balanced palate and tones of almond and pear. A wine that celebrates a mother’s love and example. Ouma Johanna, the Buys family matriarch, is admired for her elegance and poise and hence the nickname Lady J. This appealing Shiraz was named in her honour as a tribute on her 80th birthday. In keeping with the character of its namesake, it is made in a classical, understated style with supple fruit and spice. The Lady J has gathered widespread critical acclaim since it was first released, notably a double platinum award at this year’s National Wine Challenge/Top 100 SA Wines for the exceptional 2013 vintage. 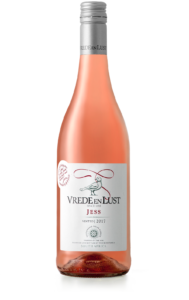 Continuing the cherished tradition of naming wines after family members, this refreshingly dry rosé is named after owner Dana Buys’ eldest daugther Jessica Lee. It is a blend of 71% Pinotage, 26% Shiraz and 3% Grenache. Lively and flavourful with abundant ripe red cherries, watermelon and strawberry, combined with red summer fruit flavours on the nose and palate followed a smooth, mouth-watering finish. Like her older sister Jessica, Sarah shares a passion for the Vrede en Lust brand and has been an active wine ambassador over the years. Like her, this wine is quirky and vivacious. 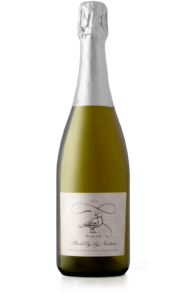 It is a distinctive bottle-fermented bubbly blended from the finest Chardonnay and Chenin Blanc base wines. 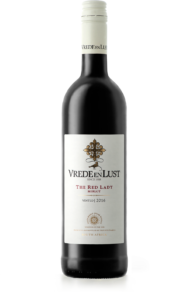 With its extraordinary freshness and depth of flavour it is fast becoming one of the most popular wines in the Vrede en Lust portfolio. The beautiful ladies of the Vrede en Lust sales team with their signature red dresses are a vital part of the estate’s allure with their consummate knowledge, hospitality and energy. This Merlot is selected from one of the high-lying vineyard blocks on Vrede en Lust’s Elgin farm, Casey’s Ridge. It has an enticing red fruit aroma with supple, integrated tannins and a lingering, fresh finish.